"We do not preach ourselves; we are proclaiming Jesus Christ as Lord. All we are is messengers, errand runners, from Jesus to you,"
May God's grace and peace be with you! Below you will be able to see our current activities and services. Do take a moment to browse our website. ​We offer Family friendly worship to which we welcome you most warmly. Please do pray for us as we seek to serve the community around us in new ways. Sunday 28th April Low Sunday —There will not be a service in Christ Church this Sunday . 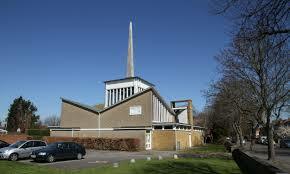 Instead we will join St. Peter’s for a 10.00 joint Eucharist service. After this we are invited for cake and coffee which will be followed by the final annual meeting of the “Parish of Staines.” One copy of the accounts is on the table in church– there are copies of the annual report. This is the last legal requirement we have to meet in regard to the old Parish. This Staines annual meeting (which won’t be long) will be followed by the vestry and annual meeting of the new parish of St Mary’s and St. Peter’s - we would not be expected to stay for that as well. On Sunday 5th May after morning worship Michael and Liz invite you to the Vicarage for a Church fuddle. There will be a table which you put food on. We share whatever is there and enjoy the fellowship. Hot drinks will be available. Hopefully the weather will be nice and we can sit in the refurbished Vicarage garden. We support Canaan Christian Ministries and encourage people to call in the shop for their purchases of books and card. Parish Safeguarding Statement. We follow the Diocese of London Guidelines, and keep updated through regular training at Diocesan House, and through personal contact with the Diocese Safeguarding Officer. We have a Parish Safeguarding Policy which can be found on this website. All our volunteers who work with our children or young people are DBS checked (or are in the process of being checked) and receive Safeguarding training. We review the Safeguarding Policy each year and report to our PCC twice yearly. Our Safeguarding role also covers the care of Vulnerable Adults, i.e. those who are 18+ years and up to our eldest members.